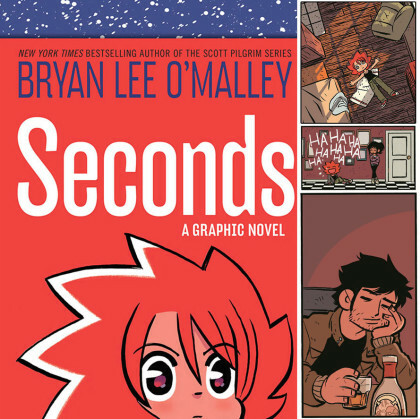 RICO’S PICK :: SECONDS: Seconds is the new book by Lost at Sea and Scott Pilgrim creator Bryan Lee O’Malley. I’m going into this new book pretty much blind aside from a few character designs I’ve see online. 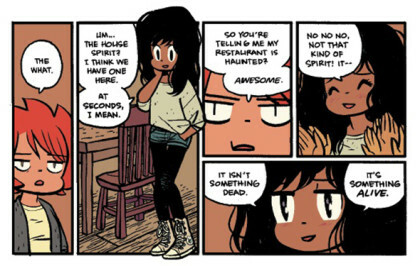 Nathan Fairbairn colored this 300+ page book and we already KNOW he and Bryan look great together from seeing the recent color versions of the Scott Pilgrim series. Super nice lettering is provided by Heroes pal Dustin Harbin. I’m very excited for this one, check it out tomorrow!